When we start talking about travel, people often ask me which place was my favorite. Much like the Duggar family refusing to name the best kid in the bunch, I find it impossible to choose one favorite travel destination. I love you ALL, my darlings! Truly, I do! Given the opportunity, I honestly can’t think of one place in Europe or the U.K. that I would rather not visit again. I’m not sure what that says about me. Easily amused? Perhaps. But if you were to ask me to name the places that really called my name, places where I could just sink in for a month or two and pretend to be part of the community, four cities come to mind. 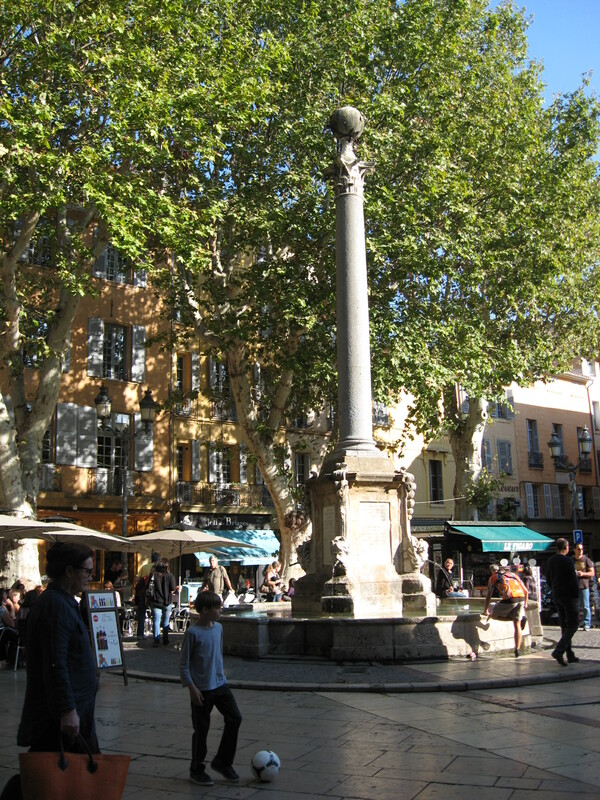 The first European place I truly fell in love with was Aix-en-Provence in southern France. I visited for the first time in early December in the mid-1980s. Paris had been gorgeous, but overwhelming. Aix felt welcoming, manageable. Vendors sold Christmas ornaments and Crayola-colored knitted gloves in the chilly outdoor market. Cafes facing the fountain in the main square were golden beacons of warmth, promising a tasty meal and huge, steaming cups of delicious café au lait. Aix had me at bonjour. About 20 years later on my second visit to Italy, my friends and I decided to take the bus from Florence to spend a day wandering in Lucca. This Tuscan beauty isn’t really on the well-beaten tourist path and we chose that day’s destination on a whim. For me, it was love at first sight as we strolled into the old town through the city’s ancient walls. 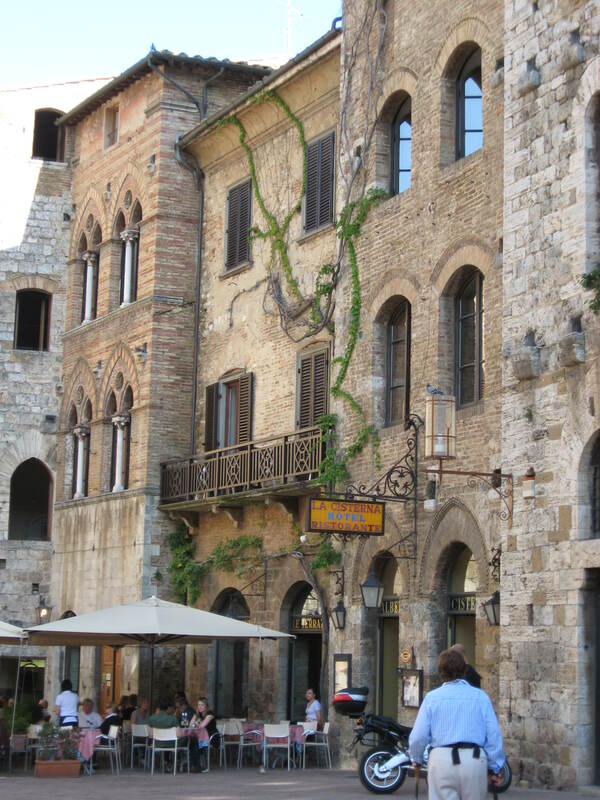 I learned that several language schools operate there and if I ever decide to learn Italian (or try to), my dream would be to settle into a tiny flat for a month or so of studying and exploring this exquisite, low key Italian town. 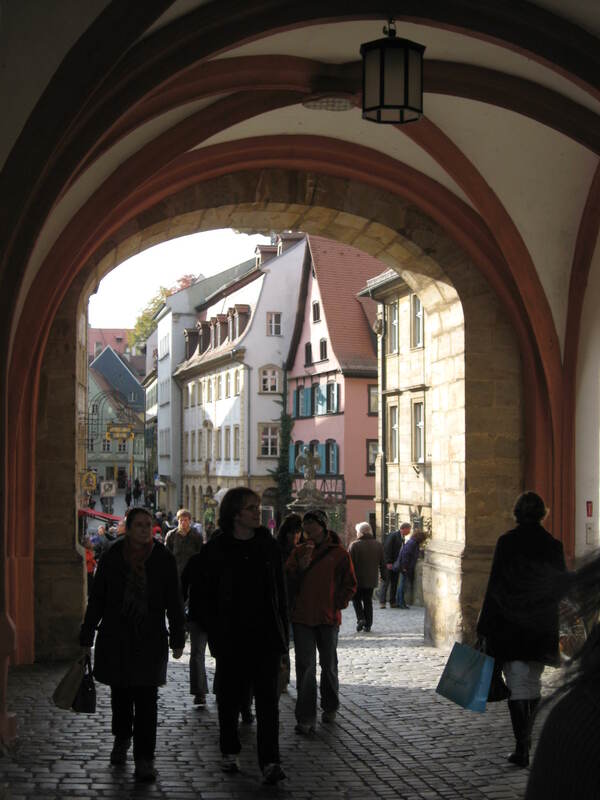 On a Viking River Cruise a few years ago we spent an afternoon in the German city of Bamberg. A short bus ride from the ship’s docking place on the Main River took us to this ancient city first mentioned in records from the 10th century. Its Rathaus, or town hall, was built right in the middle of the Regnitz River in 1386. It seemed as if fairies might have magically built the bridges going right through the building to connect one section of the old town to the other! On a sunny Saturday in October, we watched children carving pumpkins in a town square while bouncy pop music played through loud speakers and everything from fresh veggies to household knick knacks were on offer in market stalls. 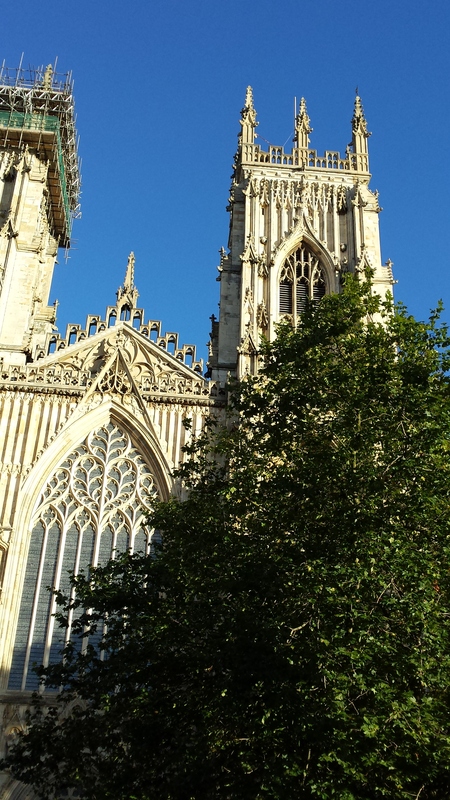 Most recently I was completely charmed by the northern city of York in England. This morning on Facebook a Huffington Post story called “17 Reasons Yorkshire is the Wonderland You Never Thought to Visit” by Lisa Miller offered a great snapshot of this picture-perfect city and the stunning Yorkshire countryside. First trips to any country really do call for visiting the places you’ve heard about forever. London, Paris, Dublin, Rome – fabulous places all, and worth every minute, hour, day or week of your time. But given the opportunity, it’s sometimes the smaller, less famous towns that will capture your heart. This entry was posted in Travel and tagged Aix-en-Provence, Bamberg Germany, England, Italy, Lucca, York, Yorkshire. Bookmark the permalink.